with the slowdown in world economic growth, the Sous Vide Machine industry has also suffered a certain impact, but still maintained a relatively optimistic growth, the past four years, Sous Vide Machine market size to maintain the average annual growth rate of 0.096262279353 from 120.0 million $ in 2014 to 190.0 million $ in 2018,Report analysts believe that in the next few years, Sous Vide Machine market size will be further expanded, we expect that by 2023, The market size of the Sous Vide Machine will reach 550.0 million $. 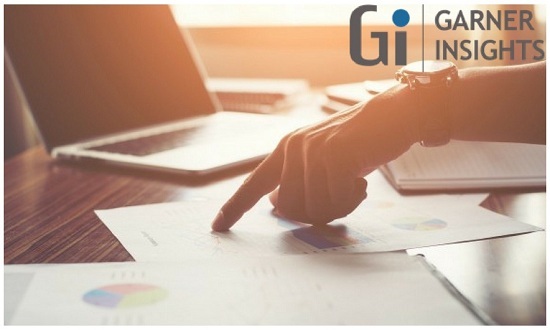 This Report covers the manufacturers data, including: shipment, price, revenue, gross profit, interview record, business distribution etc., these data help the consumer know about the competitors better. This report also covers all the regions and countries of the world, which shows a regional development status, including market size, volume and value, as well as price data. (EMAILWIRE.COM, February 06, 2019 ) This report presents the worldwide Sous Vide Machine market size (value, production and consumption), splits the breakdown (data status 2013-2018 and forecast to 2025), by manufacturers, region, type and application. Sous vide is a unique process of cooking, the food must be packaged in a vacuum sealed bag, and then cooked at a low and consistent temperature in a water bath. The process started in France and has been growing in popularity; used by chefs on Top Chef and The Taste, as well as restaurants all over. The low consistent temperature ensures the food is cooked evenly throughout; this is why when you order steaks at a restaurant they are so juicy and tender. As more and more intense competition within the industry, the price of Sous Vide Machine was decrease in past few years. Sous vide equipment has existed for decades in professional kitchens around the world, but it has always been bulky, expensive, and overloaded with complex features. This type of equipment eventually made its way into high-end specialty retail shops, but remained limited to chefs and consumers with extensive culinary experience. Cooking shows, social media, and online communities have furthered consumers knowledge of sous vide cooking, but it wasnt until Anova released the first affordable and easy-to-use consumer device that sous vide became accessible to home cooks. There are now many sous vide options available to the home cook. Each of the Sous Vide Machine manufacturers has its own mature sales networks. Through retail stores, their authorized distributors or their partners, those Sous Vide Machine manufacturers keep keen on expanding their Sous Vide Machine sales. To achieve better sales businesses, Sous Vide Machine manufacturers usually invest on their marketing channel infrastructure every year. The Sous Vide Machine market was valued at 180 Million US$ in 2017 and is projected to reach 2170 Million US$ by 2025, at a CAGR of 36.4% during the forecast period. In this study, 2017 has been considered as the base year and 2018 to 2025 as the forecast period to estimate the market size for Sous Vide Machine. To analyze and research the global Sous Vide Machine status and future forecast?involving, production, revenue, consumption, historical and forecast. To present the key Sous Vide Machine manufacturers, production, revenue, market share, and recent development. This report includes the estimation of market size for value (million USD) and volume (K Units). Both top-down and bottom-up approaches have been used to estimate and validate the market size of Sous Vide Machine market, to estimate the size of various other dependent submarkets in the overall market. Key players in the market have been identified through secondary research, and their market shares have been determined through primary and secondary research. All percentage shares, splits, and breakdowns have been determined using secondary sources and verified primary sources.